In New Jersey, a breath test is used to determine the blood alcohol content (BAC) of a driver when an investigation into driving while intoxicated (DWI) is being conducted. Drivers 21 and over who register 0.08% or above will be arrested for DWI. Drivers under the age of 21 who register 0.01% will be arrested. For commercial drivers, the level is 0.04%. Penalties for a DWI conviction can be severe with the loss of driving privileges, substantial fines, raised insurance rates, the possibility of an ignition interlock device being placed on the driver’s vehicle and even jail time. With DWI breath testing, there are certain things that a driver needs to understand even before a traffic stop is made and especially after it happens. If a law enforcement officer has probable cause to make a traffic stop to investigate a potential DWI, there are certain procedures that must be followed. First, there must be a justifiable reason for the stop to be made. This could be due to suspicion that a driver is driving drunk or is about to drive drunk. If a person stumbles out of a bar and gets into a vehicle, that is sufficient for an officer to make the stop and investigate. If the driver is weaving in and out of traffic, unable to stay straight on the road or is committing dangerous actions in the vehicle, the officer can also make the traffic stop. Once the traffic stop is made, the officer will go through a series of checks to see if the driver is exhibiting signs of drunkenness. Slurred speech, glassy eyes and the odor of alcohol are clear indications that the driver has been drinking. Then the officer will likely request that the driver submit to field sobriety tests. These include the Horizontal Gaze Nystagmus test, the Walk and Turn test and the One Leg Stand test. After that, the officer will request that the driver submit to a Breathalyzer test to determine the BAC. The officer will read from a prepared statement to inform the driver of the request to take the breathalyzer test and that it is not a choice the driver has as to whether or not to take it. In New Jersey, there is what is known as implied consent when a driver receives his or her driver’s license. That means that the act of refusal – even if the driver has not had a drop of alcohol – is grounds for an arrest. 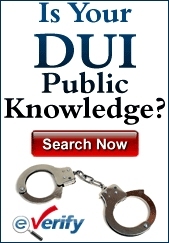 Being convicted of Refusal carries with it the same penalties as a conviction for DWI. Drivers might be under the impression that they are within their rights to refuse to take the test. This is not true. Once the officer asks if the driver will agree to take the breathalyzer test, the suspect must answer yes or no. If there is an answer in the affirmative, the officer will go forward with reading the rest of the prepared statement. If the driver refuses, that will be grounds for an arrest without the test being conducted. Silence is not a strategy that will work either because not answering will also end up with the driver being arrested. 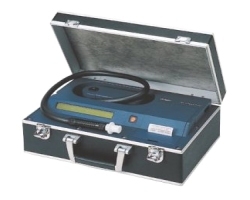 Once the driver agrees to take the test, the driver will be asked to blow into the machine twice with two minute intervals between these actions. This is to ensure there are no alcohol remnants in the machine and to get a proper reading for the person being tested. The machine will calculate the two results and come to a BAC. If this is above the legal limit, there will be an arrest. Before the test is given, however, the officer is required to observe the driver for 20 minutes. This is to make certain that the driver didn’t do anything that could compromise the test’s accuracy. Throwing up, smoking a cigarette, chewing gum and chewing smokeless tobacco are just some of the actions a driver can take that might render the breathalyzer test as inaccurate. If, for any reason, the officer doesn’t observe the driver for the full 20 minutes, then the time period must be restarted. Drivers who have been arrested for DWI based on a failed breath test have several options when it comes to formulating a defense. A defense attorney will make sure that the traffic stop was made with justification. An officer is not allowed to make a traffic stop based on a whim. There must be a reason for doing so. Without that, there is no case. Once the stop is made, the officer is required to follow the delineated procedures. With a Refusal charge, if the officer didn’t read the prepared statement, then the driver might not have been aware of the consequences of refusing to take the test. When the test is given, the two separate readings with the two minute interval must be adhered to. And the officer must wait the required 20 minutes of observation time before giving the test. Drivers need to understand that although a DWI charge is serious, it is a traffic infraction and not a criminal offense. They also need to know about the proper procedures of a breath test being administered before making a costly mistake.